How far have mobile games come? Phosphor’s new game, Dark Meadow, is a good example of cutting-edge mobile gaming. 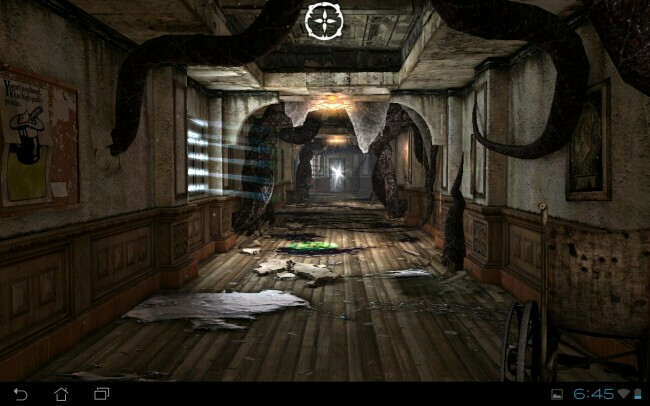 Available for iOS and “select Tegra-powered devices”, the game shows how well mobile devices can power the Unreal Engine. The first-person hack and slash game has moody lighting, great looking textures, and in general it looks like a high end PC game from just a couple years ago. On the Android side of things, the mobile industry seems to be taking a cue from the PC industry as major chipmakers compete to present games that show off their bits of silicon in the best possible light. NVIDIA has scored a win on this account, as Dark Meadow currently only runs on NVIDIA’s Android chipset, most likely because NVIDIA paid to have the game “optimized” for their devices first. We hope the NVIDIA exclusivity won’t last too long – we’re not big fans of seeing Android gaming get fragmented based on hardware manufacturer, but a lot of money gets offered to gaming companies to do just that. In the here and now, however, Dark Meadow is a smart-looking cross platform mobile game. If the game sounds like your cup of tea, check out the trailer below, and hit up the app market of your choice to download the game, for the low, low cost of free. The way games on Android and mobile OS's in general (with the exception of windows which has had no forward investment in chipsets) are improving is crazy. Although this game looks great, it is nowhere near close to high end PC games from couple of years ago. Remember Crysis:Warhead was released on 2007. Many other exclusive PC titles i.e. those which are not ported from console, cannot be ported to consoles without degrading the graphics and Nvidia is barely reaching XBOX 360 level GPU performance which is again slower than PS3 GPU which is basically Nvidia 7900gt. I am not completely sold on mobile games, most of them look like online flash games from years ago. chips are not up to console level yet. that's coming with the exynos 5250, t4, omap5, and krait pro... so like late 2012 and they will officially break the 360\ps3 polygon pushing barrier.. that is nothing short of impressive consoles are about 6 years behind PC's at this point especially seeing what the new nvidia geforce 6xx is throwing. regardless of what people think about the t3 vs the krait there are some things that 4 cores can do better than 2. How are consoles 6 years behind PCs? IMHO TVs are 6 years behind chips. Once UDTV become the norm things will be equal. Consoles are 6 years behind PC's because none of them have been updated since 2006, with the wii in all technicality hardware wise being ages old. Currently, PCs are still steps ahead of consoles. Though that is soon to change, probably in the next 5-10 years. PCs had a long steady improvement since it's conception. But now consoles improvement are being fueled by money from eager consumers and thus increasing the improvement rate exponentially. People were divided when the first 1GHZ phone came out and thought there'd be no use for such power on a mobile phone. However people found ways to use it and now people can actually do productive tasks on their mobiles that they use to do on their PCs (word, powerpoint, excel, etc). Though the mobile world still needs to catch up to the PC standards we sure are going there. And as we can see 20nm is on the horizon already. Once we reach that theoretical limit the next goal will be to search/create a longer lasting material. yeah, technology is crazily insane. :p In the future, you'll literally be able to control everything with a device the size of the palm of your hand (possibly even smaller). If you take high end pc games of couple years ago (Gears of War) and resize them to smartphone screen size, it would look much better than that. However if you take PS2 Generation Games, like God of War 2, and resize to smartphone screen then it would looked like that. So you can say todays smartphone are equivalent to PS2 Generation games, just optimize to smartphone resolution with some more details. Actually, The Xbox 360 GPU is slightly more powerfull than the PS3's GPU, but everybody knows that the Cell proccessor on the PS3 is a lot more powerfull than Xbox's GPU. it doesnt matter. the cell processor has a huge bottleneck with its memory pipeline which is why many Xbox games look better in the end. they both have advantages over the other but the 360 wins IMHO. I have them both. if you want to play games,integrate your PC to it, and be online u can't beat the 360. if you want theater media like bluray and DVD upconverting, and optical outputs with a side of gaming... the ps3 is better. OK you're right about the XBOX360 GPU being more powerful but cell processor has many advantages over XENON. Still it is nowhere near PC level even though consoles are heavily optimized. About mobiles devices we will see what happens when Mali t658, POWERVR 6 series and Nvidia kepler for mobile phones come out. Yeah you're the cell processor has a huge bottleneck. I prefer PC gaming casue I like to play all my games at 1080p resolution, but I miss a few console games if you ask me.